Blackheads (or open comedones) are the small yellow or black bumps, which are generally formed when hair follicles are clogged by dead skin cells, dirt, oil, and other impurities. The factors like improper skin care, excessive use of different cosmetic products, changes of hormone in the body, stress, and genetics are the main causes of blackheads. Blackheads commonly appear on your face, but they may occur on your neck, chest, arms, shoulders, and back. 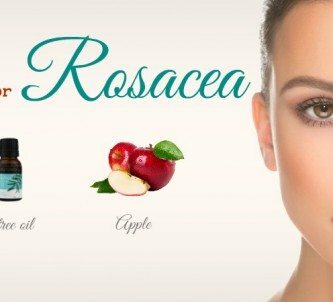 There are many prescription medicines for the treatment of blackheads, but if you are looking for natural and safe home remedies for blackheads on face & body, you should try applying some of natural ways that EffectiveRemedies.com is going to show you in this article. Remember that these remedies are only for the informational purpose, and they are not aimed to give medical advice. 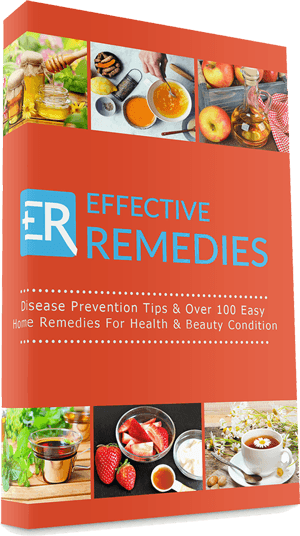 Let’s read this article to learn about these 34 natural solutions in more detail. 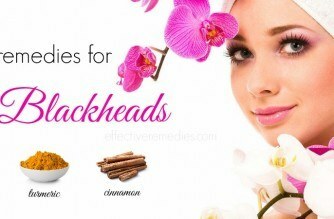 The first remedy I would like to introduce is the cinnamon powder that is known as one of the excellent home remedies for blackheads. 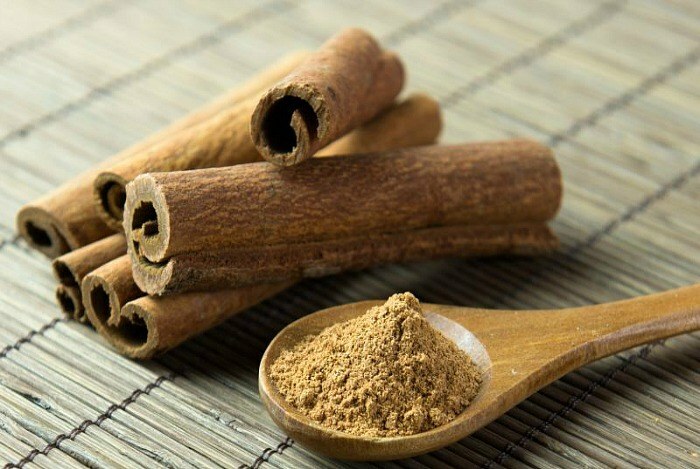 Cinnamon is loaded with an anti-bacterial effect that may be used to make a wonderful face mask to offers a lot of benefits to your skin, including the blackhead removal. In addition, it helps to remove flaky skin and acne as well, and it may be used as a natural body scrub for a softer, smoother, & more glowing skin complexion. Moreover, cinnamon improves the blood circulation and keeps your skin healthy & glowing. It also helps to tighten the skin pores and delay aging . 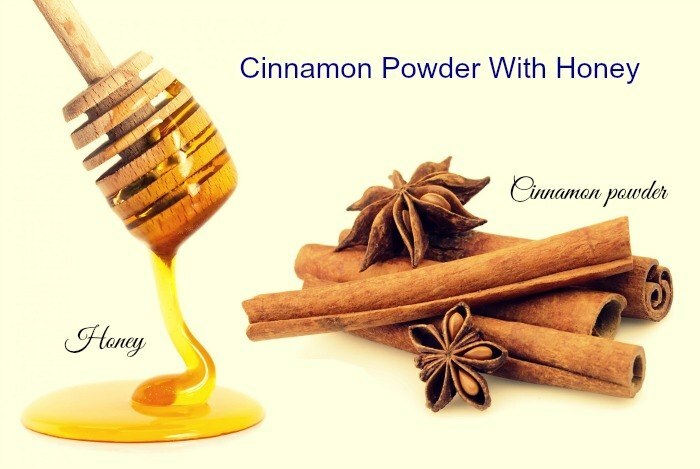 Here are three simple solutions using cinnamon powder for curing blackheads. Firstly, you mix the cinnamon powder with the lemon juice well in a clean bowl. Next, you apply this mixture on your blackheads. Leave it like that for about 20 minutes. Then you rinse off with water. You should apply this mixture twice or three times a day to get rid of blackheads. Firstly, you need to mix the cinnamon powder with the honey well in a clean bowl. Next, you apply this mixture on your blackhead skin areas at night before you go to bed. Then you wash off with water in the morning. You should do this every day for 8 to10 days till you see the improvement. Firstly, you mix all of the ingredients well in a clean bowl to make a homemade facial cleanser. Next, you apply this mixture on the blackheads and rub it gently. Then you rinse off with warm water. 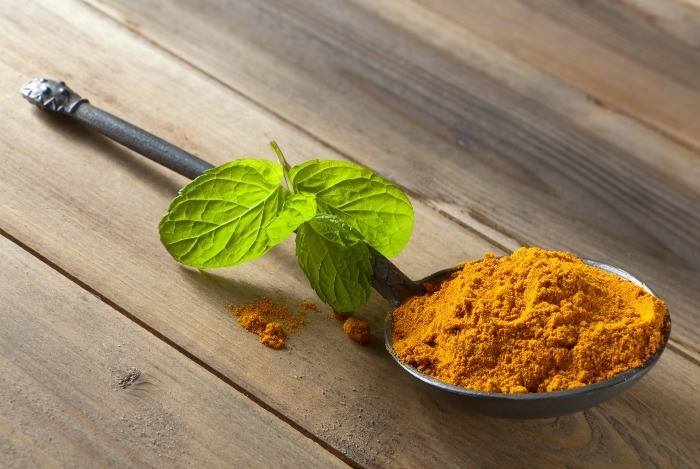 The second remedy in the list of natural home remedies for blackheads is turmeric. It is considered as a natural antibiotic, which helps you get rid of blemishes by improving skin tone and cleaning out dirty pores . 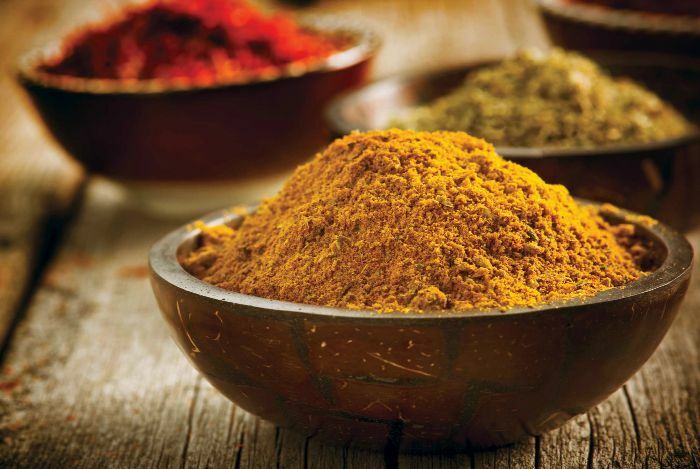 Here are few small remedies using turmeric you can easily apply at home. Firstly, you crush the coriander leaves to extract their juice. You should have about 1 tsp of coriander juice. Next, you mix the coriander leaves juice with the turmeric powder well to make a paste. You apply this paste on your blackheads preferably at night. Then you leave it for 30 minutes. Now you wash off with warm water. You should do this daily to completely remove your blackheads. Next, you apply this mixture on the skin with blackheads. Then you let it on there for 20 minutes. Rinse off with warm water. Doing this remedy daily will help you remove the blackheads and give you a smooth skin. Firstly, you pour a little water in the red sandalwood to make a paste. Next, you add the turmeric powder and the milk to this red sandalwood paste. Then you apply this mixture on the affected skin with blackheads. You leave it like that for about ten minutes. After that, you wash off with warm water. You had better apply this remedy daily to get faster relief from blackheads. Baking soda can help to remove dead skin cells & give you smooth, soft, and clean skin. It not only is used for removing blackheads completely but also helping to neutralize the pH level of the skin, which means that the skin will produce less oil. In addition, the antiseptic properties of baking soda make it a wonderful ingredient for your skin. Not only does it work as a great exfoliant to scrub away your dead skin cells to leave a soft & smooth skin, but it’s also a wonderful contender against the pesky blackheads . Now let’s learn this remedy in more detailed. Baking soda – 1 or 2 tbsp. Firstly, you mix the baking soda with the enough amount of fresh water to make a thick smooth paste. Next, you apply this paste on the affected skin with blackheads and gently scrub it in a circular motion for 5 – 7 minutes. Then you rinse off with lukewarm water and pat dry the skin. Finally, you apply moisturizer on the skin. You should do this daily to get the best result. 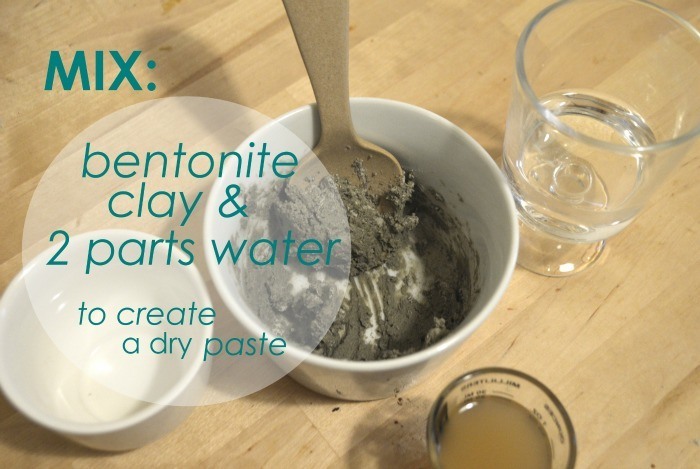 One of the excellent home remedies for blackheads is bentonite clay. Bentonite is a sort of absorbent & powerful healing clay, which was found near Wyoming at Fort Benton in the 19th century. 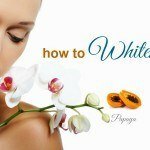 It contains over 60 natural minerals such as iron, calcium, magnesium, silica, and potassium, which make it a rich substance that has been used to treat a lot of conditions, mainly skin related conditions. It will help to pull out oils and other dirty impurities accumulating under your skin’s pores, so it can remove blackheads quickly . Now I will give you specific instructions. Firstly, you need to add enough amount of water or apple cider vinegar to the bentonite clay in order to make it like a paste. Next, you mix this mixture well and apply this on your blackheads. Then you wait for about 10 – 30 minutes. Now you rinse off with warm water. Finally, you apply the moisturizer to rehydrate your skin. This solution is very helpful in treating blackheads if you use it daily. Another useful solution I would like to introduce you to the list of home remedies for blackheads is sugar scrub. 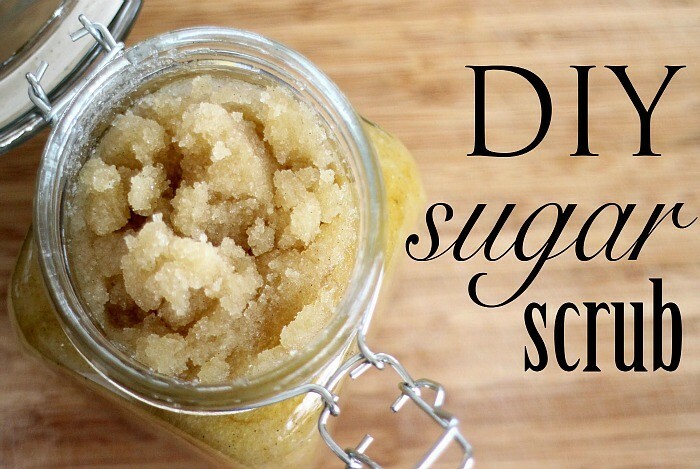 Sugar is an excellent exfoliant, and when mixed with carrier oil, it is especially effective in clearing the clogged skin pores that may result in the nasty blackheads. It excellently sloughs off your dead skin cells, which cause the several skin problems such as pimples, acne, whiteheads, and blackheads as well. This remedy will help you remove blackheads effectively. Firstly, you mix the sugar and oil well. Next, you add the essential oils to this mixture. You can add 1 drop of tea tree oil if you have the skin which is acne prone. You need to stir the mixture well before you apply it on your blackheads. 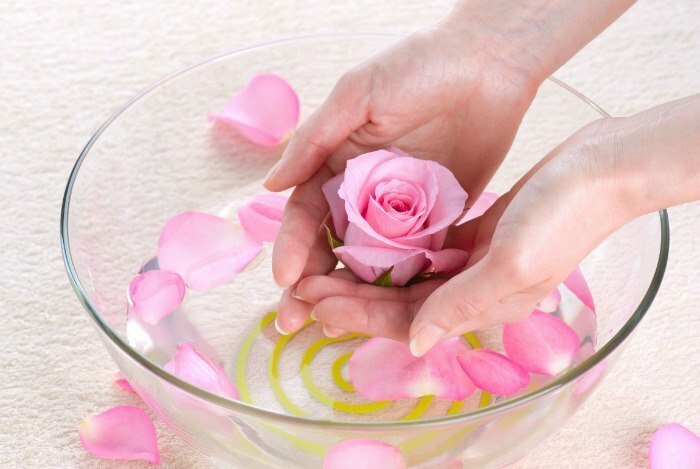 After applying the mixture, you gently massage your skin in a circular motion for few minutes. Now you wash off with warm water and apply moisturizer to hydrate your skin well. You should do this every day to have the best result. Looking for the best home remedies for blackheads, you should not pass the combination of apple cider vinegar and mint leaves. Thanks to the natural acid agent of apple cider vinegar, this ingredient is considered as a good toner that can help to get rid of blackheads. In addition, this vinegar helps to balance the pH in the body to prevent further acne or blackheads . 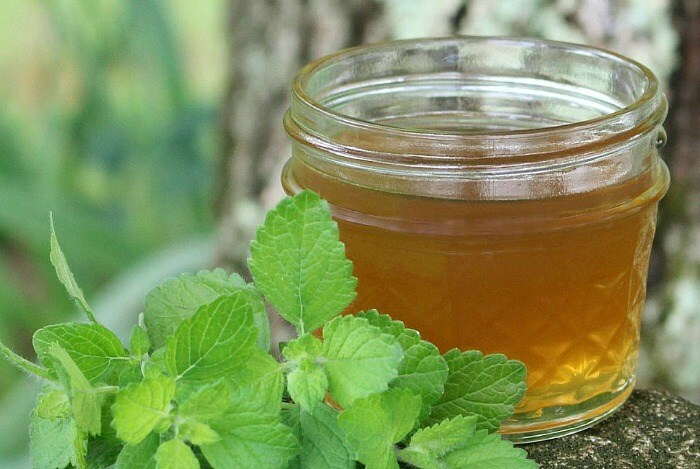 Here are specific instructions to use apple cider vinegar and mint leaves. Firstly, you crush or chop the fresh mint leaves. Next, you add these crushed mint leaves to the apple cider vinegar. You pour this mixture into a clean bottle and put it in a cool and dark place for a week. After about a week, you strain the mixture and pour water in it. Then you leave it in a cool and dark place for a week. After that, you can totally use the soothing apple cider vinegar. Remember that you need to rinse off the affected skin with blackheads and then apply this mixture before you go to bed. In the next morning, you wash off with warm water and apply the moisturizer. If you want to learn more other home remedies for blackheads, keep reading this article. When you apply oatmeal on your blackheads, it will help to keep your pores clear because oatmeal can absorb oils and give you a clean and smooth skin. In addition, it contains powerful antioxidants & anti-inflammatory effects. It helps to soothe irritation and eliminate dead skin cells to clarify the skin complexion . 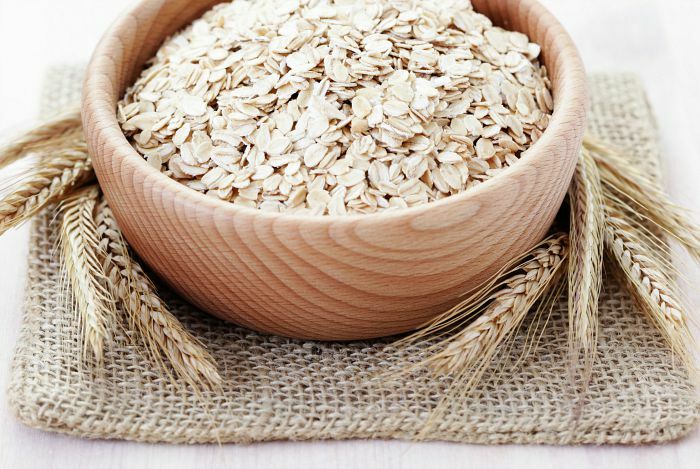 To use oatmeal for blackheads effectively, you should follow the solutions below. Firstly, mix all ingredients well to make a paste. Next, you apply this mixture on your affected area and scrub gently for about 10 -15 minutes. You should do this daily to get rid of blackheads quickly. 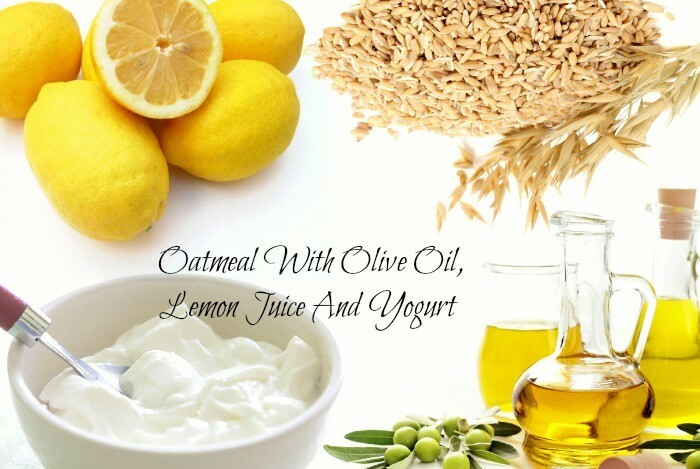 Firstly, mix the oatmeal with the lemon juice, olive oil, and yogurt well to make a face mask. Next, you apply this mixture on your problem skin. You leave it for about ten minutes. You should do this solution every day to definitely treat blackheads. Firstly, you pour the rosewater in the oatmeal to create a paste. Next, you apply this paste on your blackheads. Then you leave it for 20 minutes. Finally, you wash off with warm water. Doing this daily will help you get rid of blackheads quickly. Cornmeal is known as one of the useful home remedies for blackheads. Cornmeal can naturally get rid of blackheads and clear the clogged pores. 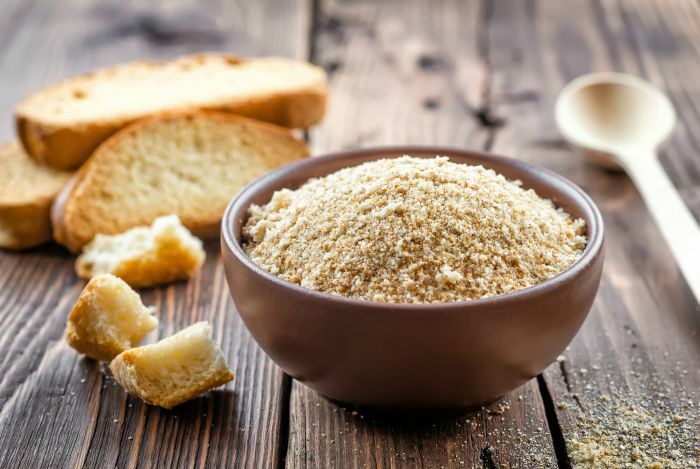 Many people use cornmeal for exfoliating the skin in order to remove pimples and blackheads. Besides, it acts as an abrasive to clear the impurities and dirt in the skin pores. Here are the specific instructions of two popular solutions using cornmeal for blackheads removal. Firstly, you mix the cornmeal with the water to create a thick paste. Next, you apply it on your blackheads and gently massage it in a circular motion for about five minutes, but remember not to massage too strongly. Then you wash off with cold water and apply moisturizer. You should repeat this method daily until you see the improvement. Firstly, you mix the cornmeal with the facial cleanser well. Before you start this process, you need to open your skin pores by applying the steam. After that, you apply this mixture on your affected skin and gently scrub the affected area in a circular motion. Next, you leave it for about 5 minutes and rinse off with cool water because this step helps to close the opened pores.  For the most effective result, you should do this remedy daily. 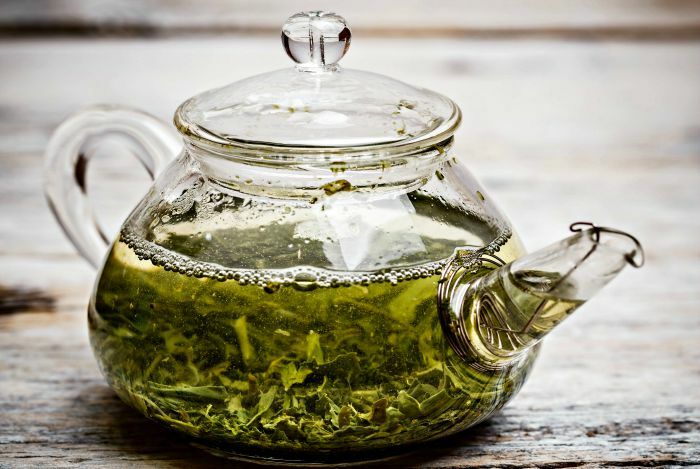 Green tea is one of the most effective home remedies for blackheads. It not only improves your health but also helps you refresh your skin and prevent blackheads. When you use green tea to scrub your skin, it will help to loosen the blackheads and remove the impurities in your skin . In addition, it contains antioxidants and multiple nutrients that help to clear your skin. Now I will introduce to you the instructions of the remedy using green tea to remove blackheads. Firstly, you mix the dry green tea leaves with the water to make a fine paste. Next, you directly apply on your blackheads for about 3 – 5 minutes. Then you gently massage your skin to help to unclog pores as well as clean the oily skin. You rinse off with warm water. You can use lemon juice for treating blackheads because it helps to remove your excessive oil and bleaching the dark skin area as well. Lemon juice also has alpha-hydroxy acid that works as an astringent to eliminate the dead skin cells, making it perfect for getting rid of clogged pores. 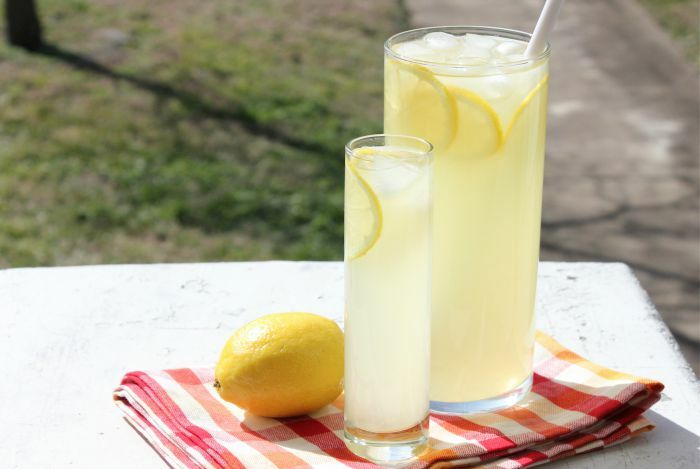 Also, lemon juice is a rich source of vitamin C, a great antioxidant that helps to stimulate the production of collagen to improve your skin health and ease the formation of scars from acne . Now let’s learn the below solutions containing lemon juice to remove blackheads quickly. Firstly, you mix all ingredients well in a clean bowl to create a paste. Next, you apply this paste on the affected skin with blackheads and gently massage your skin. You should repeat this solution daily because the exfoliating effect of this mixture will remove the blackhead from your skin. Firstly, you mix all ingredients in a clean bowl. Next, you use this mixture to clean your affected skin. Then you rinse off with normal water. For the beneficial result, you should do this daily. Firstly, you add the lemon juice to the groundnut oil and mix them well. Then you apply this mixture on your blackheads. You leave it for 20 minutes. You wash off with warm water. You should do this solution daily to completely get rid of blackheads. Keep reading this writing to learn more other useful home remedies for blackheads. Firstly, you need to separate the egg white from the yolk of the egg. 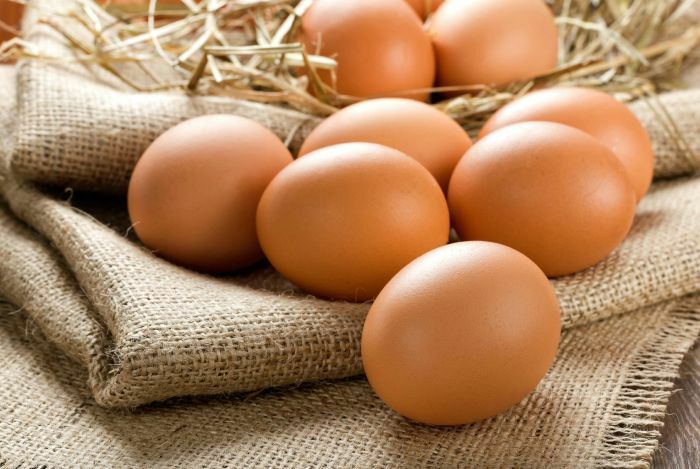 You may add the honey to the egg white if you want to and mix it well. Next, you dip your finger in this mixture, and apply it on your problem skin and gently scrub it. Then you leave it till it is dry. Once more, you apply another egg white and continue to let it dry. After about ten to fifteen minutes, you rinse off with warm water. This remedy will give you a smooth skin and help to prevent blackheads. Another remedy among excellent home remedies for blackheads I would like to introduce to you is fuller’s earth or multani mitti. 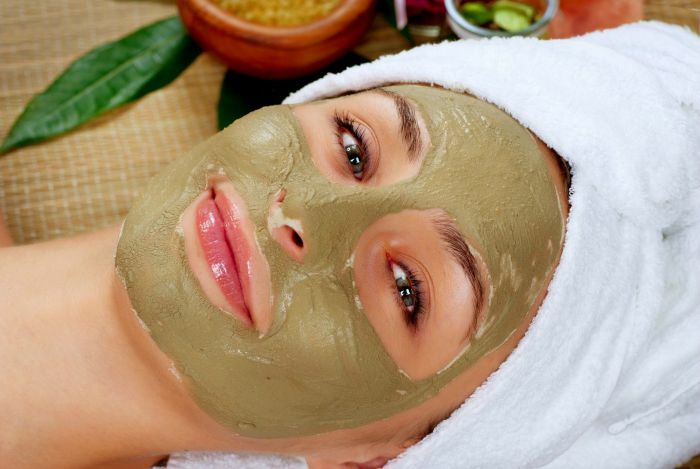 This clay is very helpful for the oily skin because it will pull out your excessive oil efficiently from your skin, which helps to prevent blackheads. Now I will introduce to you three popular solutions using fuller’s earth you can easily apply at home. Firstly, you add an enough amount of rosewater to the fuller’s earth in a bowl. Next, you mix the mixture well to make a fine paste. Then you apply it on your blackheads. Afterward, you wash off with warm water. Firstly, you add an enough amount of rosewater to the almond powder and mix them well to make a paste. Then you add the fuller’s earth to this almond paste. After mixing the mixture, you apply it on your blackheads and gently rub in a circular motion. After about 5 – 7 minutes, you wash off with water. Firstly, you mix the fuller’s earth with the apple cider vinegar to make a fine paste. Next, you apply it on your affected skin. You leave it for about 20 minutes. Next, you soak a towel in warm water and then put it on your skin foe few seconds. Now you rinse off with normal water to completely delete your blackheads. 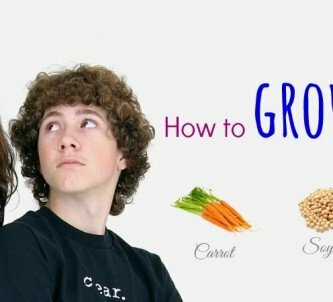 Here are few useful guides using vegetables, spices, and fruits you should remember in order that you can use them to get rid of blackheads. Mix the ground black pepper with the yogurt well. Apply this mixture on your blackheads. Let it on your skin for about 10 minutes. Rinse off with normal water. Firstly, you grind some radish seeds into powder. Next, you add the powder to water to make a paste. Then you apply this paste on your blackheads skin. Leave it for 20 minutes until it is dry. 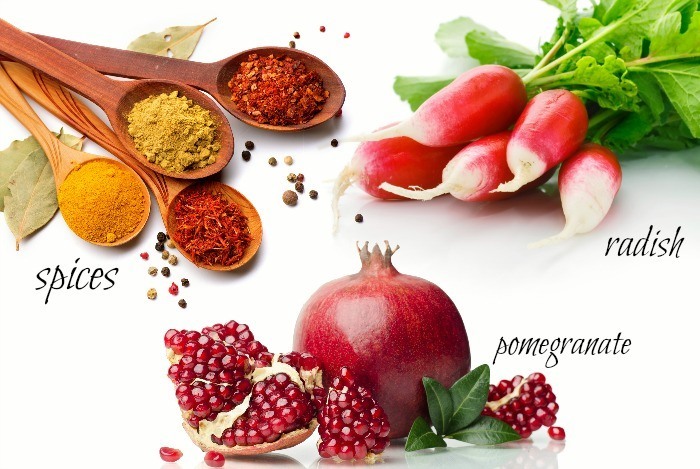 Firstly, you roast the pomegranate peel. 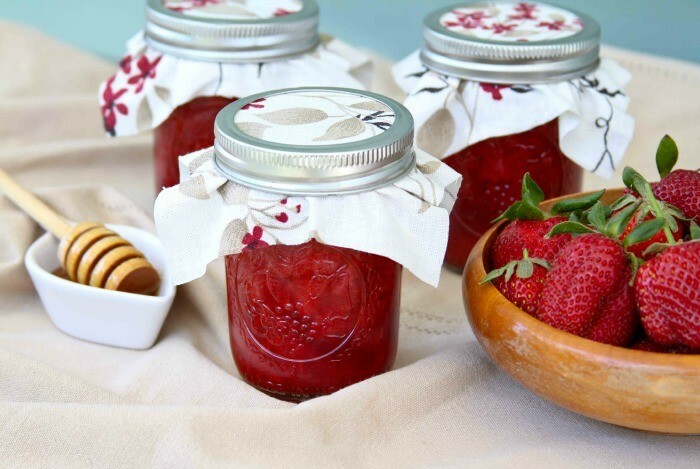 Mix an enough amount of fresh lime juice with the pomegranate peel to make a fine paste. Now you apply it on your blackheads. This remedy is used for treating blackheads and preventing whiteheads, pimples, acne, and boils. When you seek the useful home remedies for blackheads, you should pay attention to Epsom salt. 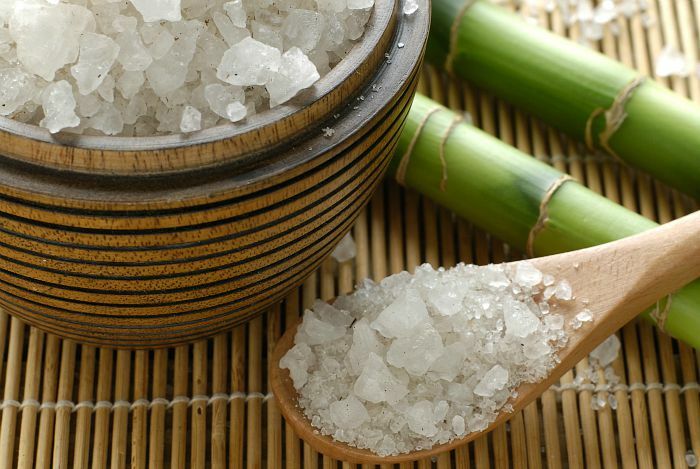 Not only is Epsom salt great for reducing sore muscles, but it also helps to remove blackheads on the face. While most of the natural treatments on this list remove the dead skin cells and oil on the skin surface, the mixture of Epsom salt actually pulls the impurities out of the clogged pores to be washed away. Here are detailed directions to use Epsom salt for battling blackheads on your skin. Firstly, you add the Epsom salt in the cup of lukewarm water and stir it well till this salt completely dissolves in the water. Next, if you want to use iodine, you add the iodine in this salt water and let it cool. Then you soak the cotton ball in the salt water and apply it on your affected area with blackheads. You leave it for about 15 – 20 minutes. After that, you wash off with water. Doing this solution daily will help you completely get rid of blackheads. The combination of gelatine and other natural ingredients is the useful remedy, which helps to remove the dirt, sebum, and dead skin cells. As the result, this remedy also helps you get rid of blackheads. Mix the essential oil with the gelatine and milk well. Next heat the mixture. Remember that do make it just warm. Then you apply this mixture on your affected skin, but you have to avoid your mouth, nostrils and eyes. Leave it for about 20 – 10 minutes or it completely dries off. Now you wash off with cold water. Finally, you apply moisturizer on your skin. 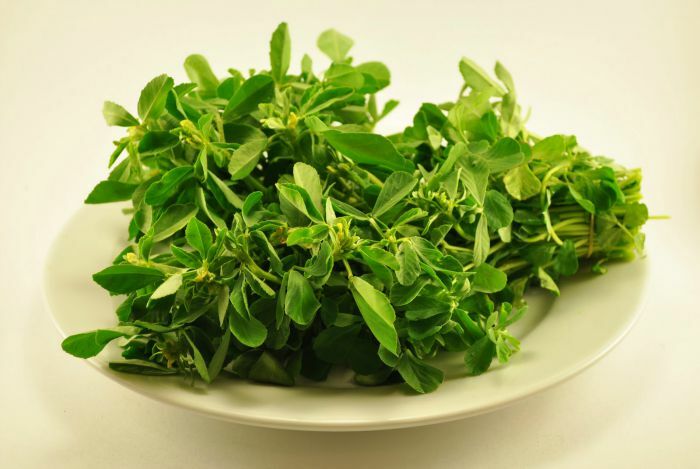 One of the easiest and simplest home remedies for blackheads is using fenugreek. It is very beneficial for your body whether it is used topically or orally. It has powerful antioxidants, anti-inflammatory, and emollient effects, which efficiently clear blackheads & whiteheads on your skin . Here are specific instructions containing fenugreek to treat blackheads. Firstly, you crush few fresh fenugreek leaves and then pour a little water in them to make a thick paste. Next, you apply this mixture on your blackheads and leave it for about 10 minutes. Finally, you rinse off with warm water. 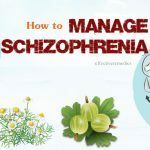 For the effective result, you should do this solution daily. Both strawberry and lemon juices are a rich source of alpha hydroxyl acids (AHA), so the combination of them is known as an excellent blackheads removal tool. Especially, the AHA will control the oil production and remove dead skin cells from the surface of the skin. In addition, strawberries contain salicylic acids helping to open pores and cleansing out unplug blackheads as well. Firstly, you use the back of a fork to mash up the ripe strawberries until they are mushy. Then you place them in a clean bowl. Next, you add the honey and lemon juice to this bow and mix the mixture well. Then you apply this mixture on your blackheads and gently massage in a circular motion for about 2 – 3 minutes. Lastly, you rinse off with warm water and then splash your skin with cold water in order to close off the pores. Firstly, you mix all ingredients well in a small bowl. Next, you apply this mixture on your blackheads and gently scrub your skin in a circular motion. After about 2 – 3 minutes, you rinse off with warm water. You should do this daily till you see the improvement. 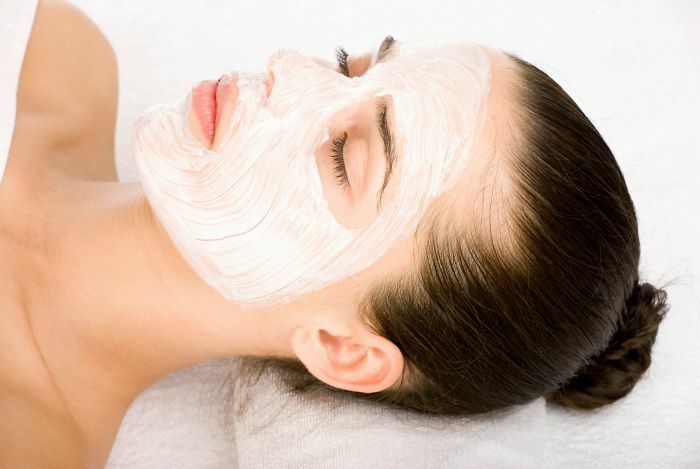 Almond and yogurt are two excellent ingredients used for treating blackheads. Especially, almond acts as a gentle exfoliator, which helps to remove the dead skin cells, germs, and excessive oils causing the clogged pores. 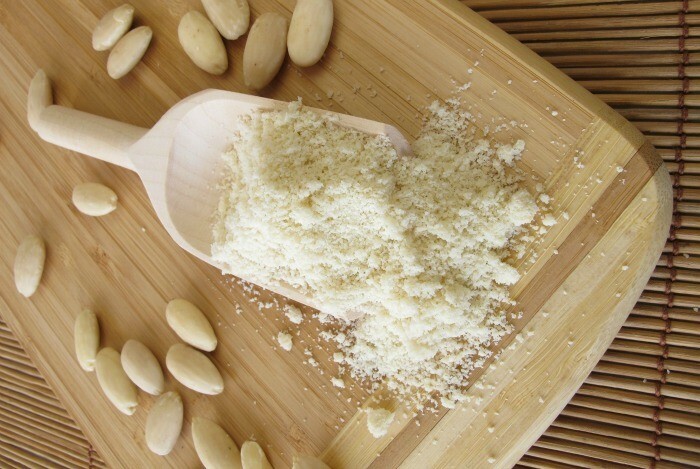 Now let’s try the below method using almond to treat blackheads effectively. 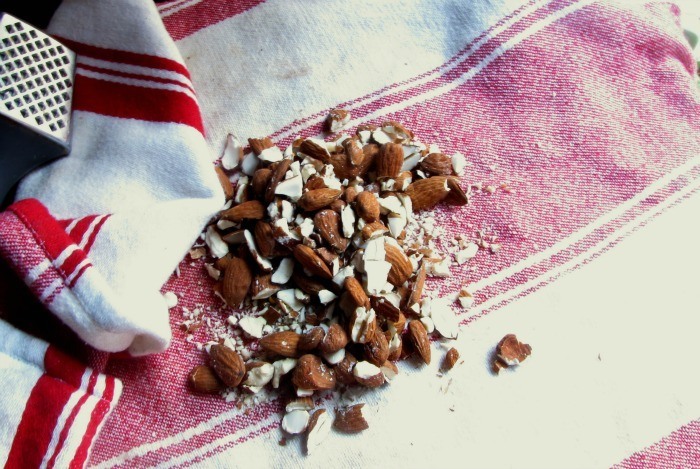 Firstly, you crush the almonds and mix them with the yogurt. 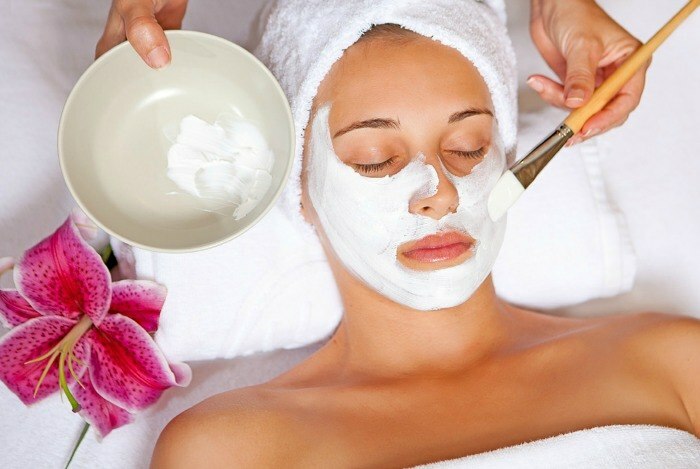 Next, you apply this mixture on the affected skin with blackheads and gently massage for about 2 – 3 minutes. Leave it like that for 15 minutes. Then you rinse off with warm water and then cold water to close off your pores. Finally, you apply olive oil as a moisturizer. 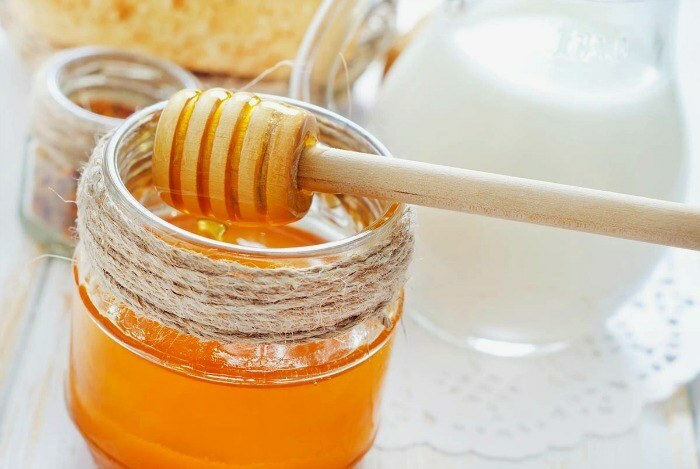 Honey contains antibacterial and antiseptic properties that aid in removing blackheads by destroying germs or removing impurities that clog the skin pores, making it become another great ingredient for people with blackheads . Honey also works as a natural antibiotic, which helps to pull dirt from your skin pores to clear blackheads & tighten and hydrate the skin pores for a clear complexion. 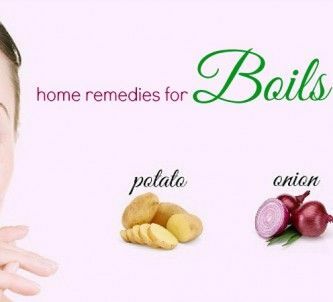 The last useful remedy in this list is the combination of honey and milk. 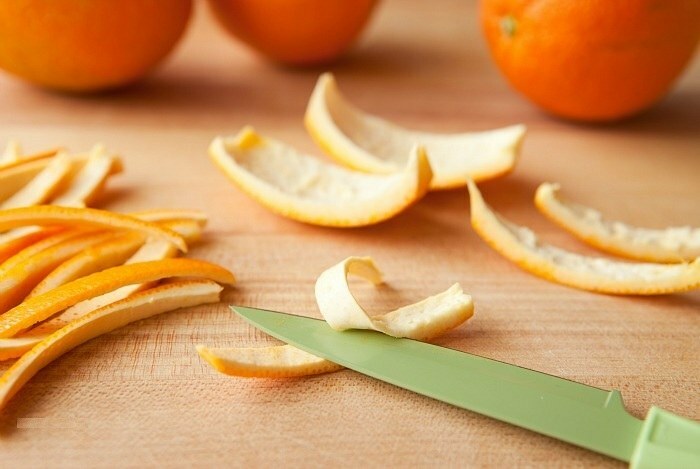 This remedy is very good for your skin, and it will help you get rid of blackheads quickly. Firstly, you mix the honey and milk well. Next, you heat this mixture to warm it up by using a microwave for about 5 – 10 seconds. After that, you pat the dry cotton cloth on the blackheads skin like the beautician usually does when they apply wax on your legs or hands. Leave it like that for about 15 – 20 minutes until the mixture is dry. Then you rinse off with cold water and apply moisturizer. For the best result, you should do this once a week. Nutmeg helps to remove the excess oil while milk (especially buttermilk) contains lactic acid helping to break and get rid of the dead skin cells. When both of these ingredients are mixed, they completely clean your blackheads without allergy and pain and give you a smooth and clear skin. 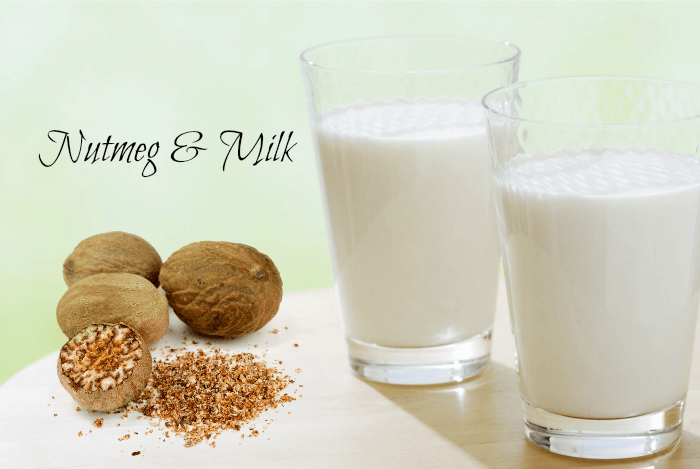 Here are specific guides to use nutmeg and milk for blackheads removal. Firstly, you add the nutmeg to the milk to create a thick paste. Next, you apply this paste on your blackheads and gently massage to clear the dirt and dead skin cells. You leave it for few minutes until it is dry. For the beneficial result, you had better do this solution regularly. 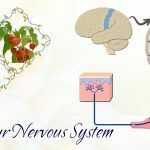 If you would like to learn more about natural home remedies for other health problems and diseases, please visit our main Home Remedies page. After you read the writing of top 34 natural home remedies for blackheads on face & body, hope you will find out the best method to “say goodbye” to blackheads easily and quickly. 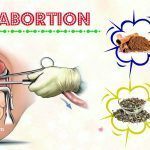 However, these remedies are for the purpose of information, so before you apply any remedy at home, you need to see your doctor to get advice. Do you think that I have forgotten to mention something in this writing? Please leave your comments and share your experience about blackheads treatment with us bellow. We will answer you as soon as possible.